Where is IB wing of The Shri Ram School located? The IB Diploma for classes 11 and 12 is held at the Senior School campus at Moulsari Avenue in DLF City Phase III, Gurgaon. What are the timings for the IB section? Senior school students have to come in uniform on their birthdays. Elaborate birthday celebrations, such as carrying cake to be cut in class or expensive gifts, are not encouraged at school. The school provides lunch, served in the lunch hall that is compulsory for all students. The school campus has two canteen outlets that sell freshly prepared snacks. Senior school students can use the canteen during short break and lunch on any day of the week. Yes, there are school buses, which ply in both Delhi and Gurgaon. The teacher student ratio in both junior and senior schools is approximately 1:5. English is the medium of instruction, as well as the compulsory Group 1 subject. Hindi, French and Spanish are offered in group 2. What is special about the teaching learning method of IB at The Shri Ram Schools? All teachers in the programme are professionally trained and experienced. The teachers recognise differential learning and lessons are designed to appeal to visual, kinaesthetic and spatial learners. Methods of teaching according to the international norms are maintained in the classrooms. Teaching methodology includes but also goes beyond the classroom dialogue between teacher and students and incorporates presentations, projects and activity-based teaching; collaborative, experimental and experiential learning; self-study and peer teaching. Formal assessments are made through a system of formative and summative assessment involving a mix of cycle tests, projects, presentations and quizzes, which incorporate writing and oral skills. A record of the academic progress is kept and shared periodically with parents and strategies for enhancing the student’s growth are designed. In addition, the requirements of the IBO to which the school is affiliated are strictly followed and careful records maintained. Co-curricular activities, designed to be learning, leadership and fun opportunities, form a part of the IB calendar during and after school hours throughout the year. They encompass performing arts, fine arts, literary and creative writing pursuits, sports, environment, science, heritage, interacting with achievers and role models. In senior school they could be intra-school, inter-school, regional, state or national events such as Shri Soccer, Shri Basketball, Model United Nations, Shri Debate and Shri Khoj. The IB students also participate in a variety of activities under the CAS programme such as International Cuisine Week, International Film Week. After school activities include sports coaching, drama and theatre, photography, robotics, etc. In keeping with the spirit of the IB programme and the core principles of TSRS, we belief in providing varied learning opportunities, drawing forth all kinds of potential and acknowledging and cultivating diverse strengths to take education beyond books; therefore the IB curriculum at The Shri Ram School is structured to include both pursuit of academic excellence to the best of one’s ability and co-curricular activities in various fields to build confidence and a more rounded personality. Every student is allowed to dream and follow that dream, with the school and faculty acting as facilitator and guide to channel aspirations and abilities. 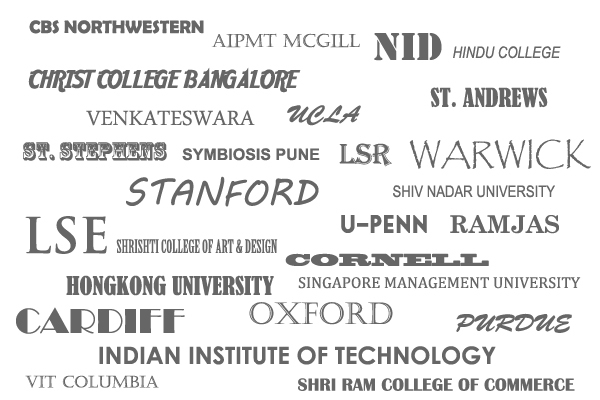 Our results ensure that our students are admitted to the top colleges abroad and in India. All campuses have open spaces for play and structured physical education classes. Trained and experienced physical educators ensure that the students participate in sports and exercises. The Moulsari campus has basketball courts, badminton courts, fields for soccer / football and cricket, gymnasiums and a swimming pool. There are regular Parent Teacher Meetings held in school. While formal report cards are given twice a year, a system of non reporting Parent Teacher Meets is also followed. Specific days are also assigned for each class where parents can walk-in to meet the teachers with prior appointment. Parents are also invited to career counselling programmes held at the school. Yes, we do accept student applications from other educational systems, subject to the parameters laid down by IBO for the Diploma Programme.